1. 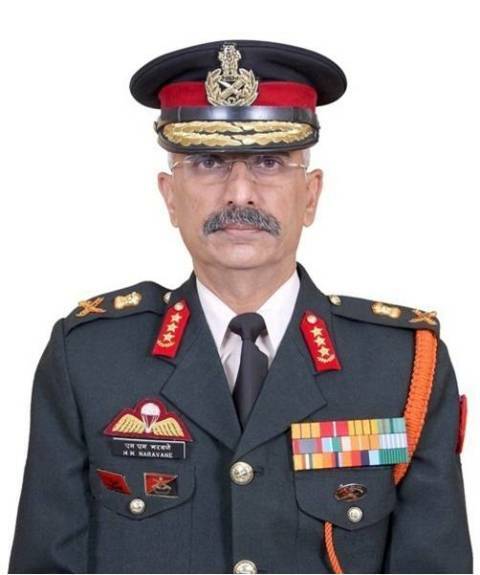 Lieutenant General Manoj Mukund Naravane, AVSM, SM, VSM took over as the General Officer Commanding-in-Chief of the Eastern Command on 01 October 2018. 2. Lieutenant General Manoj Mukund Naravane is a highly decorated and accomplished professional. The General was commissioned into the 7th Battalion The Sikh Light Infantry in June 1980. He is an alumnus of the National Defence Academy and the Indian Military Academy. In his 37 years of illustrious service, the General has tenated numerous Command and Staff appointments in peace, field and highly active counter insurgency environments, in the North East, Jammu & Kashmir and as part of the Indian Peace Keeping Force in Sri Lanka. The General has commanded a Rashtriya Rifles Battalion in Jammu & Kashmir and an Infantry Brigade on the Eastern Front. He has also been the Inspector General, Assam Rifles (North) at Nagaland, commanded a prestigious Strike Corps of the Indian Army and was the General Officer Commanding-in-Chief of the Army Training Command before taking up his current assignment. The General has served as an instructor at the Army War College, Mhow and has also been the Indian Defence attache to Myanmar. The General holds a Masters Degree in Defence Studies from Chennai University, a M.Phil in Defence and Management Studies from DAVV, Indore and is presently pursuing his Ph.D. from Punjabi University, Patiala. 3. The Army Commander is married to Mrs Veena Naravane who has vast experience of more than 27 years in the field of teaching in India and abroad. She has been closely associated with welfare activities and has now assumed the responsibility of the Regional President, Army Wives Welfare Association of the Eastern Command. They are blessed with two daughters. The elder daughter Isha, is a graduate of Venkateshwara College, Delhi University and an alumnus of Trinity Laban Conservatory of Dance, London. She is currently teaching International Baccalaureate Dance at Pathways School, Gurgaon and is married to Mr Simon Massey, also a performing artist. The younger daughter Amala, is a graduate of Singapore Management University and is currently working as a PR Consultant in Singapore.